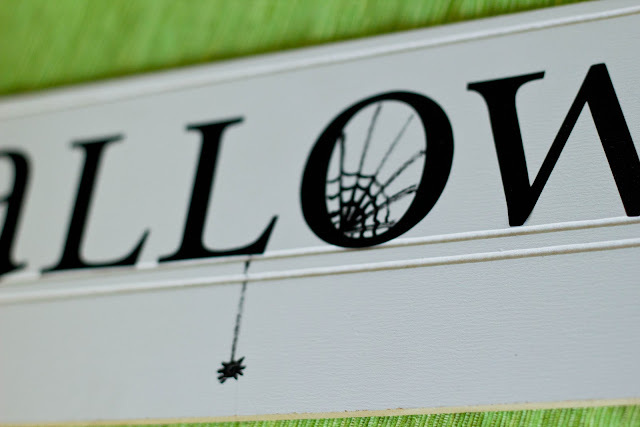 Is there anything that invites the Halloween willies into your home like lots of creepy crawly spiders? 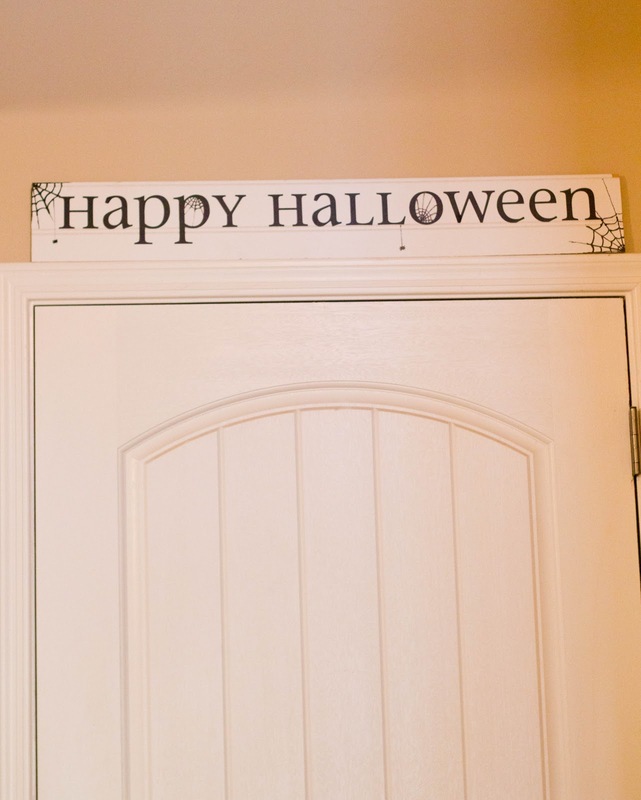 This spiderful sign was really simple to make. I originally posted about it as a blog swap over on Somewhat Simple a year or two ago. I realized it hadn’t made it’s debut here on My Insanity, yet, so I thought now would be a good time to share. Speaking of spiders, if you want a full-blown infestation in your home, be sure and check out my Pinterest board (Halloween — Along Came a Spider). There is enough spider inspiration there to keep the arachnophobes away for years. I started with a scrap piece of beadboard left over from another project that was headed for the garbage (FREE!). The great thing about Halloween is you want it to be a little rough around the edges, so most any old scrap could work. It happened to be the perfect length for these vinyl words I had purchased at Hobby Lobby at their after Halloween clearance the year before (cheap!). Many of us have vinyl cutting machines now and could easily cut similar lettering. You could also consider stenciling or even free-handing if you are artistically inclined. Now, for the fun part, take a paint pen or black sharpie marker and hide little spiders and spiderwebs in and through out the letters. I put black cobwebs in each corner and then used some of the round letters as homes for more spiderwebs. 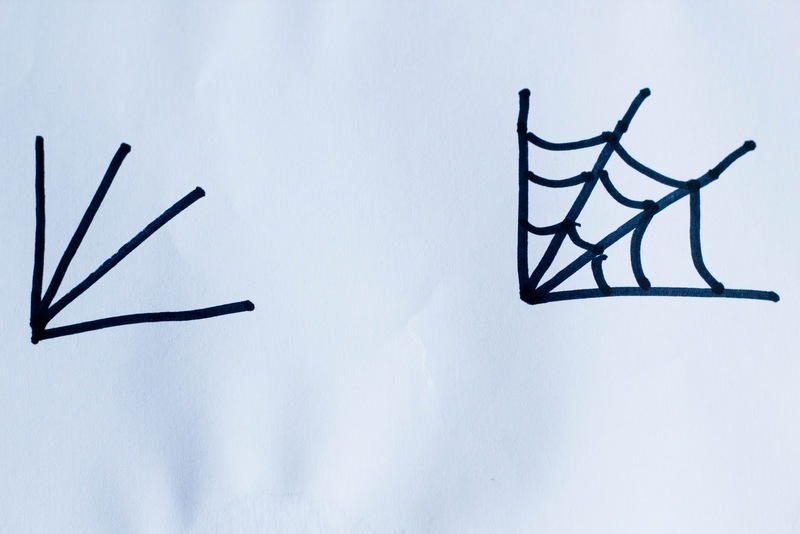 If the letters were 3D, where might spiders spin their webs? 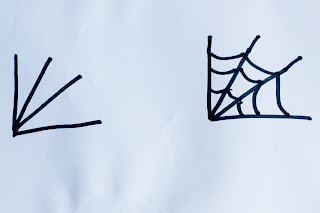 I’ll bet lots of you know how to free-hand spiders and spider webs, but just in case you are intimidated by free-handing designs, I thought I would show you how easy these are to draw. Pick a center spot and draw rays out from there (they can be varying lengths–if possible connect them to the other side of the letter). Make several smaller lines attaching the rays. I often make these curved but they could be straight and alternating angles. 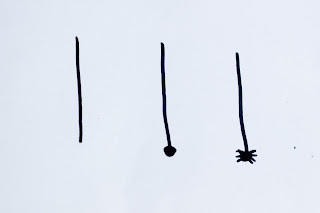 Pick a spot on a letter where the spider could attach it’s web. Make a straight line down. 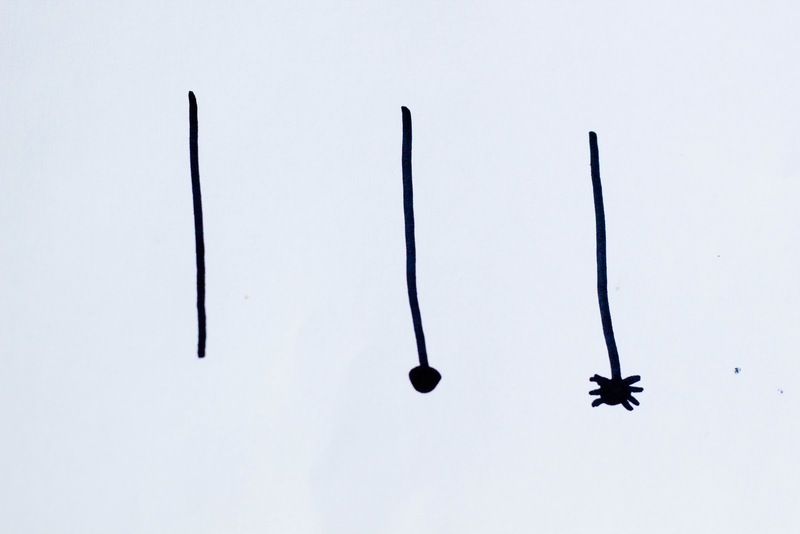 Give the spider some tiny legs. (8 if you want to be accurate). 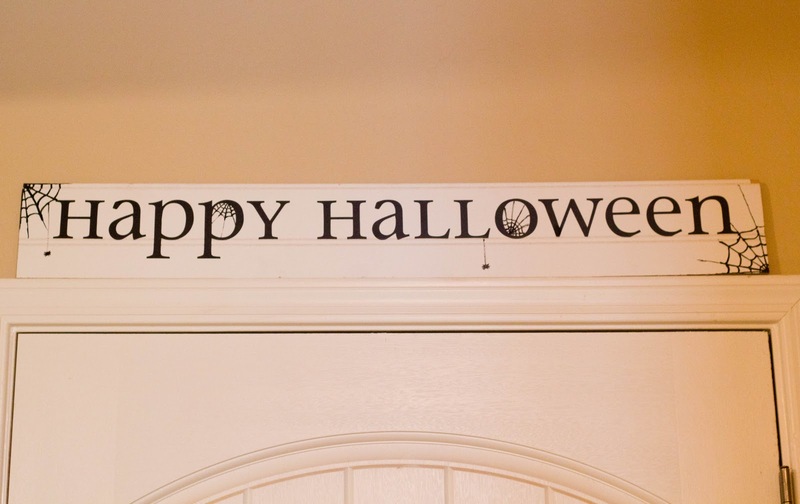 Last year I left the sign beneath my mantle, but this year I’m liking it as a spooky reminder right above my guests heads as they walk out the door. They can just imagine those spooky spiders dropping down on them. Eek!